Instant Coffee Wisdom – Page 10 – A coffee expert shares wisdom and advice on being successful. January : Perfect time for re-balancing the budget! We’re three weeks into the new year, and like many folks, you probably went overboard with Christmas spending and then also got hit with some seasonal bills to boot. The start of the new year is the perfect time to analyze last year’s spending habits and retool the budget for maximum success. Keep a ledger of all your spending. Keep track of every penny and ask for receipts so you don’t forget something. Also try to have ZERO days, where you spent NOTHING! Try to make a game of beating the number of ZERO days from one week to the next, and one month to the next. This will both help to motivate you and curb your finances at the same time. I use a spiral bound notebook, purchased on sale at Wal-Mart for 50¢ ! If you notice that you are spending a high amount of money eating out, or on non-essentials, resolve to cut back in that category. Make a list of regularly occurring monthly charges such as rent, utilities, and credit cards, and keep a record of their respective due dates. This will allow you to plan these payments according to your pay dates. Never spend more money than you earn! If you have high heating bills in the winter, contact your utility company and ask to be put on a budget plan. Then you’ll have 12 equal monthly bills each reflecting 1/12 of your total annual estimated consumption, instead of low bills in Summer and high bills in Winter. Trust me, it’s much easier to stick to a budget this way. Set aside any ‘extra’ money you trim from your budget to build up emergency savings, or to fund future vacations or big-ticket items. If you’ve stocked up the larder with an impressive amount of groceries, resolve to use these groceries over the coming months. You don’t want to have food go out of code in the back of the cupboard because you felt like ordering take-out for the tenth time this month. Spoiled food is wasted money! A home-cooked meal made from scratch with assorted food-stuffs will stretch your pay-check and increase your ability to save even more money! Always keep track of what’s in the house, and don’t buy groceries you don’t need. Take a list of what you need with you to the store, stick to the list, and buy it on sale, with coupons if at all possible. Also, be sure to avoid the impulse-buy traps the stores lay out for you when you shop. If you have been using credit cards correctly and are reaping the benefits of reward points, then you are already in the habit of paying your entire balance in full each month. That’s excellent, BUT there is usually a two to three week gap between the statement closing date, the invoice mailing date and the monthly due date. If you’re using your cards every day, you run the risk of overcharging and blowing your budget the following month. Let’s assume your VISA cards closing date is January 15th. and about 5 days later, you receive the bill in the mail on January 20th, with a due date of February 2nd. This bill will have all your charges from December 16th 2017 through January 15th 2018. Let’s say the balance is $1136 on the statement. This will NOT reflect the $30 gas you charged on 1/16, the $235 in groceries you charged on 1/18 and the $17 at the fast food place you stopped at on the way home on 1/20 before you even got home to see the visa bill waiting in your mailbox. So even though you immediately write a check to cover the $1136 on the VISA bill, you technically are still in debt $282 in new charges not reflected on the current statement which will appear on your NEXT statement. What you need to do is go on a credit card ‘diet’ and clear the queue of future charges posted to future statements. First resolve to go ‘cash only’ for a thirty-to-sixty day period. This will allow you to zero out your balances, and get back to spending as you go, verses carrying interest-free debt on a grace period. This may be hard if you have automatic recurring payments scheduled, but the trick there is to send a ‘double payment’ the one month. Trust me, you don’t want to be carrying a ‘grace period’ balance, fully expecting to pay it in full next month, only to have an unexpected life event zap your ability to do so. No one plans to get fired, become incapacitated by illness, or suddenly face an unexpected car repair job. Life happens. A wise man expects the unexpected and plans accordingly . As always I wish you happiness and success! Author instantcoffeewisdomPosted on January 21, 2018 Leave a comment on January : Perfect time for re-balancing the budget! Will you be left out in the cold? Security in your golden years is up to you! The Grasshopper and the Ant is one of Aesop’s Fables and draws its origin from Proverbs 6:6-8 in the Bible. Aesop is thought to have been a Greek slave who lived about 600 B.C. The fable describes how a hungry grasshopper begs for food from an ant when winter comes and is refused. The situation sums up moral lessons about the virtues of hard work and planning for the future. Charles Ponzi was an Italian swindler who ran a fraudulent investment con operation where returns for older investors were funded through revenue paid by new investors. This is by and large how Social Security works. The Social Security Act was signed into law by President Roosevelt on August 14, 1935. In addition to several provisions for general welfare, the new Act created a social insurance program designed to pay retired workers age 65 or older a continuing income after retirement. The Social Security Administration will deny that it is a Ponzi scheme, even going into detail as to why it’s not a Ponzi scheme in one of its publications and again on its website. Social Security is part of a government attempt to provide ‘cradle to grave’ social welfare programs to provide for citizens of the USA. Relying on Social Security to support you in your old age is a terrible idea. It exists solely to provide funds for people too lazy to set aside funds for their retirement, and it will barely be able to cover basic needs. I have personally witnessed my mother and her sisters struggle and fail to make ends meet with Social Security. My mother would have been homeless without me bridging the shortfall left by her $450 a month SSA check the last five years of her life. My last living aunt is 76 and gets a meager $1060 per month. She is constantly falling behind on the rent. She HAS been homeless, and will probably be again in the near future after alienating most of the family. Your retirement is your business, not the governments! The 401(k) provision was created in the 1978 Tax Revenue Act, but went largely unnoticed for two years until Ted Benna, noticed that the tax clause in section 401, subsection (k), did not preclude pre-tax salary reduction when it stipulated that cash or deferred-bonus plans qualified for tax deferral. It was a creative loophole that eventually led to rise of the 401(k) Plan as a major wealth-generating retirement tool. Ronald Reagan had made personal saving through tax-deferred individual retirement accounts, or IRAs, a component of his campaign and presidency. (He went on to sign this new interpretation into tax law after he won the 1980 election. ) Payroll deductions for IRAs were allowed in 1981. In February of 2005 Republican President George W. Bush outlined a major initiative to reform Social Security which included partial privatization of the system, personal Social Security accounts, and options to permit Americans to divert a portion of their Social Security tax (FICA) into secured investments. In essence, he wanted to wean the populace off the teat of Social Security and move them into more financially lucrative personal IRAs. Democrats opposed the proposal and after gaining control of both houses following the 2006 Midterm elections, effectively killed the plan for the remainder of Bush’s term in office. The Democrats created the failure that is Social Security, and they will fight to keep us under its yoke. The path to fiscal independence is paved with the gold bricks of IRAs and 401(k) plans. Countless fortunes have been made by investing in the stock market. No one have ever become wealthy by collecting monthly SSA checks. Both 401(K) plans and IRAs (Individual Retirement Accounts) allow you to save money in the stock market through tax deferred contributions. Anyone with a job can contribute money to an IRA. You can only contribute money to a 401(k) or similar retirement plan if one is offered by your place of employment. In many cases employers will offer matching contributions. In other words: FREE MONEY. You should commit to contributing 10% of your salary to these plans as soon as you are eligible to enroll, and you should always be sure to contribute enough to max out the employer match. Again, it’s FREE MONEY! There is no funding match for IRAs. As of January 2018, the maximum employee contribution for 401(k) and similar plans is $18,500. The max for an IRA is $5,500, but if you’re 50 or older you can add another $1000 to that as a catch-up fund. 401(k) plan – a retirement savings plan sponsored by an employer. It lets workers save and invest a piece of their paycheck before taxes are taken out. Taxes aren’t paid until the money is withdrawn from the account. 403(b) plan – also known as a tax-sheltered annuity (TSA) plan, is a retirement plan for certain employees of public schools, employees of certain tax-exempt organizations, and certain ministers. The basic difference is that a 403b is used by nonprofit companies, religious groups, school districts, and governmental organizations. The law allows these organizations to be exempt from certain administrative processes that apply to 401k plans. In other words, administrative costs for a 403b are lower. 457 plan – a kind of defined contribution retirement plan available to state and local public employees, but can also be offered by certain nonprofit organizations. They work much the same way as 401(k) plans. Both IRAs and 401(k) plans may be available as ROTHs. Roth IRAs and now the new Roth 401(k)s are named for Delaware Senator William Roth and were established by the Taxpayer Relief Act of 1997. There is no pre-tax savings on these, they are funded by after- taxed income, but they grow tax free. IRAs give you the largest number of personal investment choices, they are quite similar to a brokerage fund. 401(k)s tend to limit your investment choices to up to as many as twenty different funds, which may be passive index funds, or actively managed funds which will have periodic fund maintenance fees associated with them which will eat away at your returns. S Fund: Small Cap Stock Index Investment Fund – a stock index fund that tracks the Dow Jones U.S. Completion Total Stock Market (TSM) Index. I Fund: International Stock Index Investment Fund – a stock index fund that tracks the MSCI EAFE (Europe, Australasia, Far East) Index. L Fund: Lifestyle Fund – diversifies participant accounts among the G, F, C, S, and I Funds using professionally determined investment mixes (allocations)that are tailored to different time horizons. The L Funds are rebalanced to their target allocations each business day. The investment mix of each fund adjusts quarterly to more conservative investments as the fund’s time horizon shortens. I have been paying into Social Security since I got my first paycheck at my first job. It’s mandatory. You can’t opt out. I have been actively and intentionally contributing to my company TSP plan since I became eligible. It’s MY option to do so. No one is forcing me to do this. I can check the balances of both programs online. Needless to say, the mandatory government SSA plan which I am forced to pay into has far less in it than my personal TSP plan which I have been overseeing myself. You will come out far ahead of the rest when you take a hands on approach to your money, and your retirement. A fool and his money are soon parted. Do you want to be wise, or is it your intention to be a fool? It’s your life, it’s your money, it’s your choice. As always I wish you happiness and success! 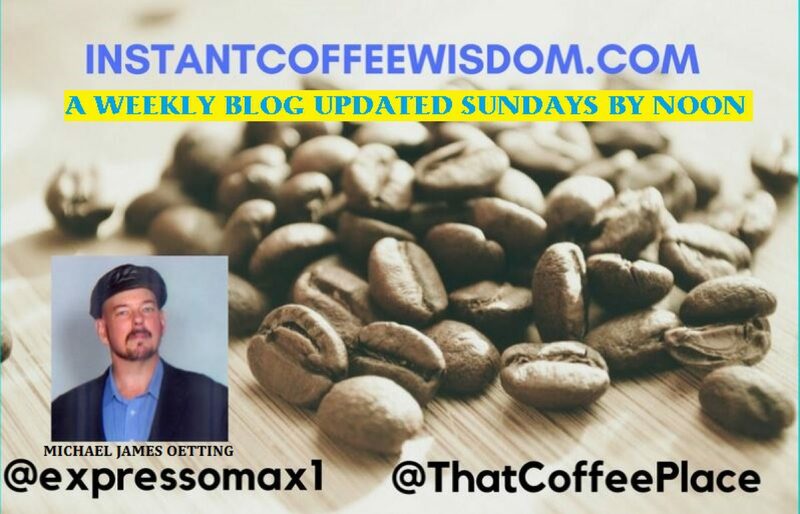 Author instantcoffeewisdomPosted on January 14, 2018 January 14, 2018 Tags 401k, finance, God, Jesus, money, retirement, security, self improvement, successLeave a comment on Will you be left out in the cold?